manage their operations with greater effectiveness and efficiency. However, in the healthcare space, the response to these technological innovations has been reserved. While it’s undeniable that digital transformation could bring great change to the healthcare space just as it has in other industries, obstacles like regulatory compliance and rigid systems of record discourage the adoption of new tools and technology. them to manage their health more easily. Providers want to provide new digital experiences that engage and empower their patients for better outcomes. Payers want to provide greater cost transparency and simplify the entire healthcare journey for members, from finding a plan to paying for services. But with data locked up in rigid systems, limited resources and compliance-related constraints that restrict the rapid development and iteration of applications, all that results are unsatisfactory healthcare experiences that are ineffective, overly complicated and lacking in meaningful value. patient insights through advanced analytics and creating experiences that are actually valuable for users. 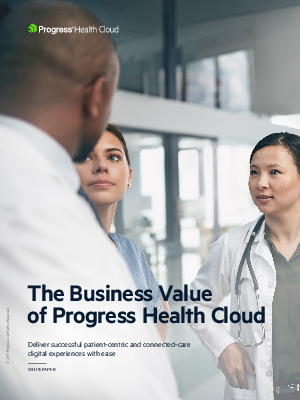 While every enterprise health cloud has its own unique strengths, they generally empower healthcare organizations to deliver successful patient-centric and connected-care digital experiences even faster.